Justice Mohammed Idris of the Federal High Court Lagos, on Wednesday, admitted sacked letter issued by Heritage Bank Limited to Iwejuo Joseph Nna, co-accused of Special Assistant on Domestic Affairs to former President Goodluck Jonathan, Dr. Waripamo-Owei Dudafa as exhibit. Nna, Dudafa and five others companies were standing trial over alleged N1.6 billion fraud before the court. 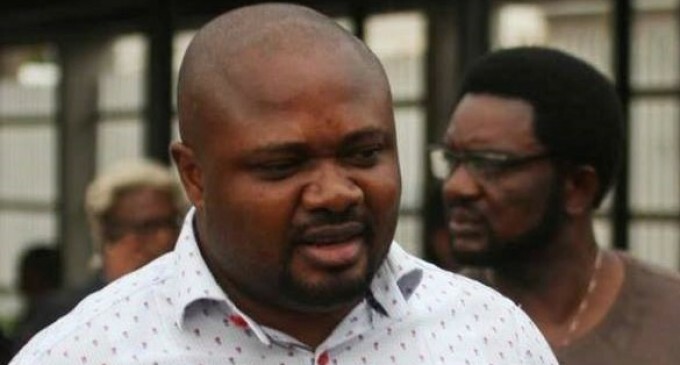 Dudafa, Nna and others were on June 11, 2016, arraigned before the court by the Economic and Financial Crimes Commission (EFCC) on a 23-count charge of conspiracy to conceal proceeds of crime amounting to N1.6 billion. Nna who testified as witness in his defence in the charge, had told the court while being led in Evidence in Chief by his counsel, Ige Asemudara that he is staff of the bank but the prosecutor, Oyedepo under cross-examination , revealed to the court that Nna was not witness of truth. Oyedepo told the court that was not a credible witness because the defendant failed to the court on position of employment with Heritage Bank Limited, disclosed that Nna had been sacked by the bank but failed to revealed it in his evidence in chief. The prosecutor tendered sacked letter issued to Nna by the bank and court admitted it as exhibit. The court also granted ECC leave played a video of how the defendants were interrogated contrary to their testimonies that they wrote all their statements under duress and intimidation by agency’s official. Furthermore, the defendant said one of the companies named I’m the charge, Ebiwise Enterprises, is his family business, which he jointly run with his wife, but cross-examination when Nna was asked did his denied knowledge of company, said his denied the company due to intimidation by EFCC. The court has fixed continuation trial till November 20.